Do you want to revive the taste and texture of your frozen pulled pork? Then keep reading as I show how to reheat pulled pork in three simple ways. 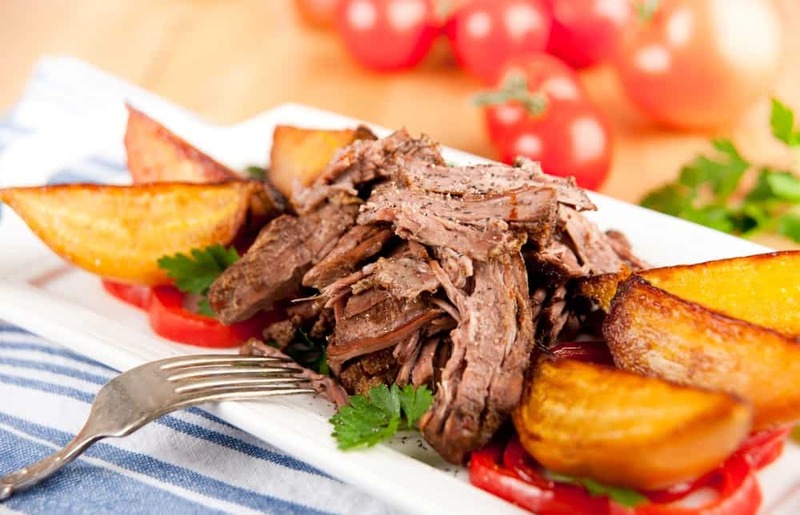 The trick in reheating this meat is to moisten it with any liquid to keep it soft and juicy. I had spent time searching for the best methods in reheating pulled pork after I had a great pound of leftovers from a party. To my surprise, the labor of my research had generated positive results. If you like to know how to reheat your pulled pork properly, check out the steps below. The taste of pulled pork may vary from one region to another, but generally, this slow method of cooking makes a tough cut of meat so tender that you can pull the pieces apart quickly. 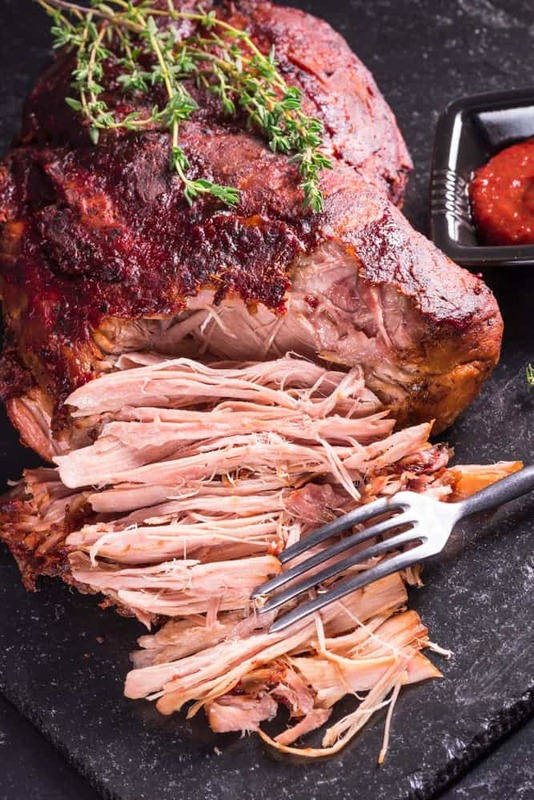 The shoulder cut is the ideal choice for pulled pork because its fat content can generate tender and juicy meat. Cooking is usually done in a meat smoker or conventional oven. To prevent your leftovers from bacteria contamination, store them in freezer bags, not more than two hours after they're cooked. You can reheat the frozen pork within three months so make sure that you put a date on the bag. To make sure that your leftover pulled pork remains juicy and tender when reheated, you need apple juice to moisten them. Aside from flavor, you can also get tons of health benefits, like glowing skin, good heart health, and better immunity. 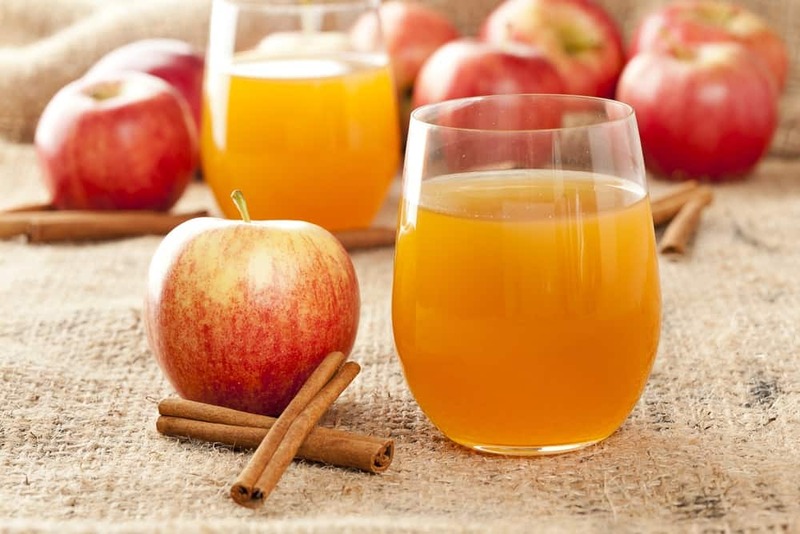 You can buy a commercial apple juice in supermarkets, or you can create your own if you have a lot of apples at home by following this recipe. If you have no apple juice, you can use any of these alternatives. While you're cooking the pulled pork, you can catch the juice drippings and save it for reheating the leftovers the next day. Before you add it to the pork, you can de-fat it first by spooning out the thick white layer on top of the sauce. For a better taste, you can also combine apple juice with the meat drippings. You can also moisten your leftovers by adding some meat broth, preferably chicken broth. To make an authentic meat broth, boil some meat, vegetables, and herbs in a kettle for about an hour. Strain the liquid and use it for your pulled pork leftovers. If you don't like the hassle of boiling a multitude of ingredients, you can create a broth out of bouillon cubes. Just boil a cup of water in a pot and add the bouillon cube of your choice, then stir until dissolved. 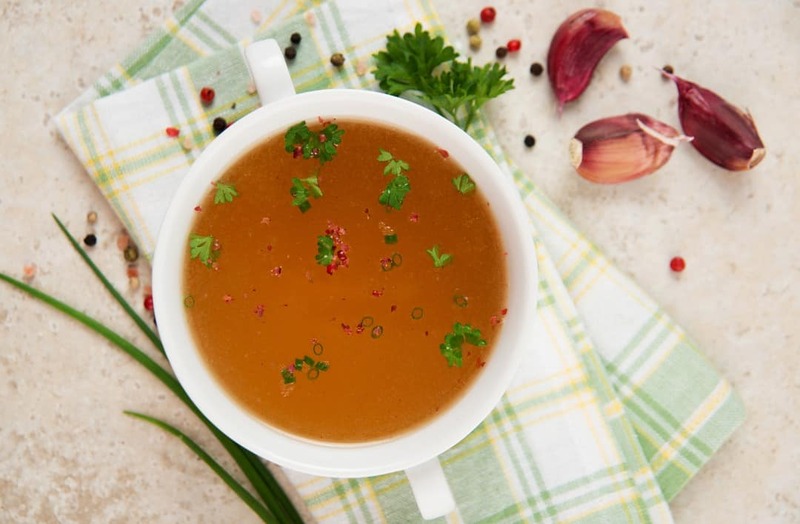 For optimum taste, you can mix chicken broth with apple juice or Coca-Cola. Yes, you read it right. You can use coke to reheat your leftovers. It gives that right sweetness and moisture to the meat. 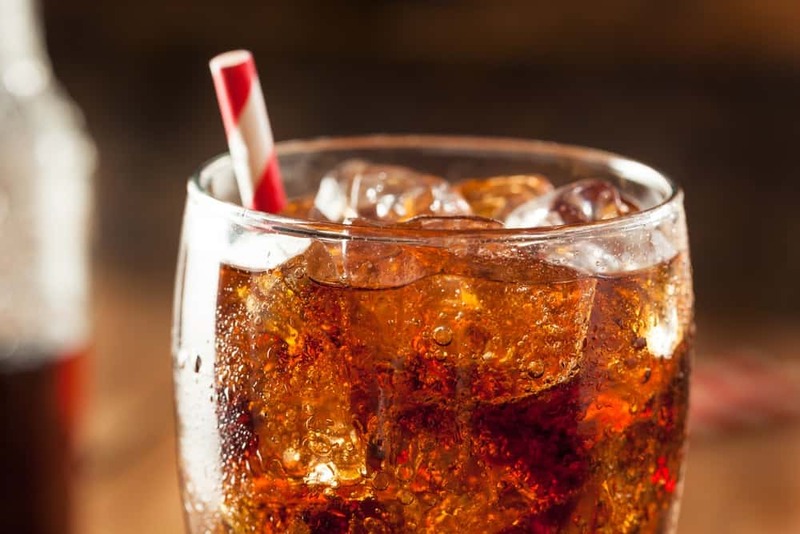 You can mix coke with chicken broth or barbecue sauce to give that excellent taste. You need a good crock pot to reheat your cold pulled pork leftovers at a steady low heat. 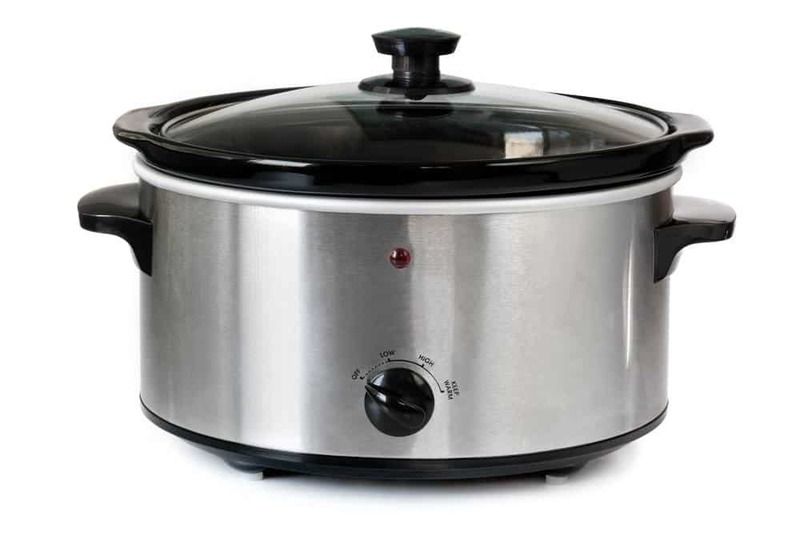 What I use is the Crock-Pot 6-Quart SCCPVL610-S which has programmable digital controls. A good crock pot should have a glass lid to keep more heat inside. The option/method 2 and 3 listed here are easy to follow but to discover them, I've spent a lot of time. They are also the most effective ways to reheat pulled pork that can keep 90% of its taste. 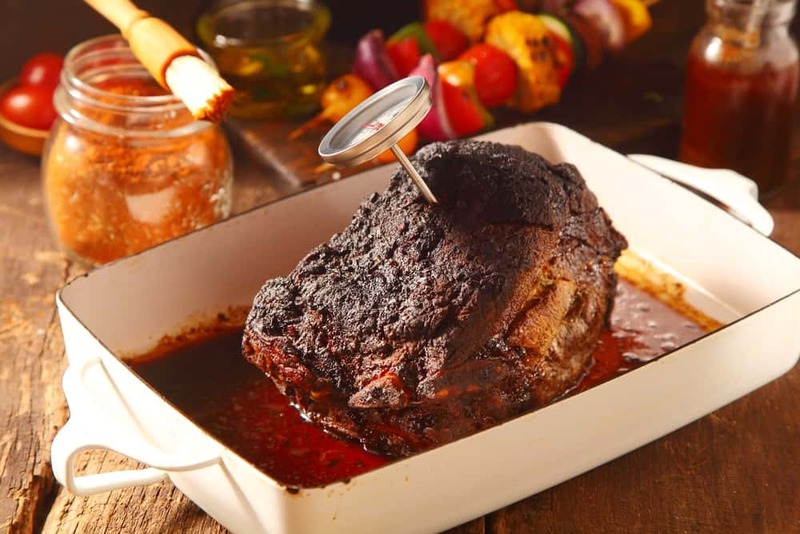 You need a cooking thermometer to check the internal temperature of the meat. An instant read is preferred because it allows you to see the accurate temperature immediately just like this one. A long probe is a great feature to look for so you don't burn your hands while measuring. 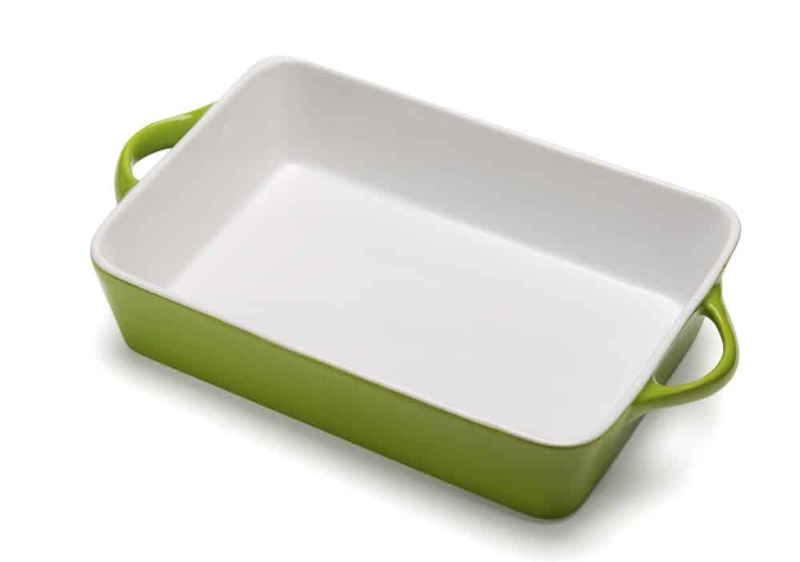 You need a baking tray to serve as a container for your pulled pork when reheated in the oven. The tray should be deep, so it doesn't spill the liquid that you'll be adding to keep the pork moist. 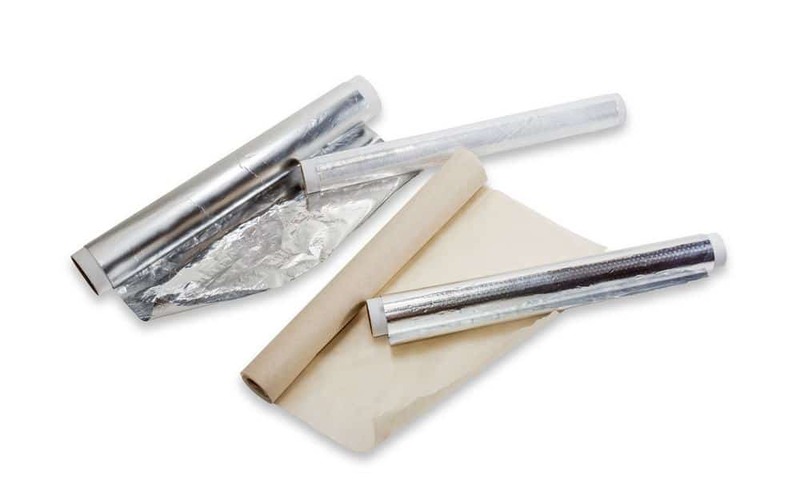 If you have some disposable aluminum pan, you can use it alternatively. A good aluminum foil serves as a cover for your pulled pork in the baking tray. You need to cover the pork with foil to keep it from over drying. Be careful in using liquids with acidity because aluminum reacts with acids. 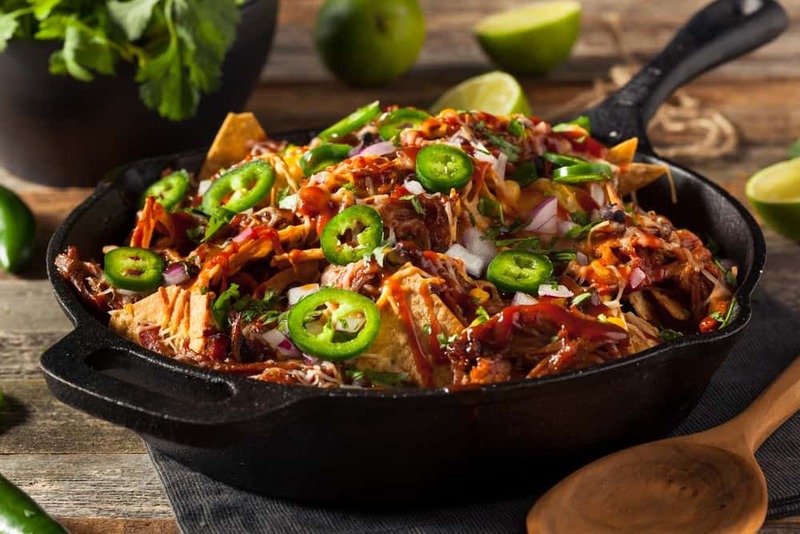 You need a heavy skillet to reheat your pulled pork leftovers. 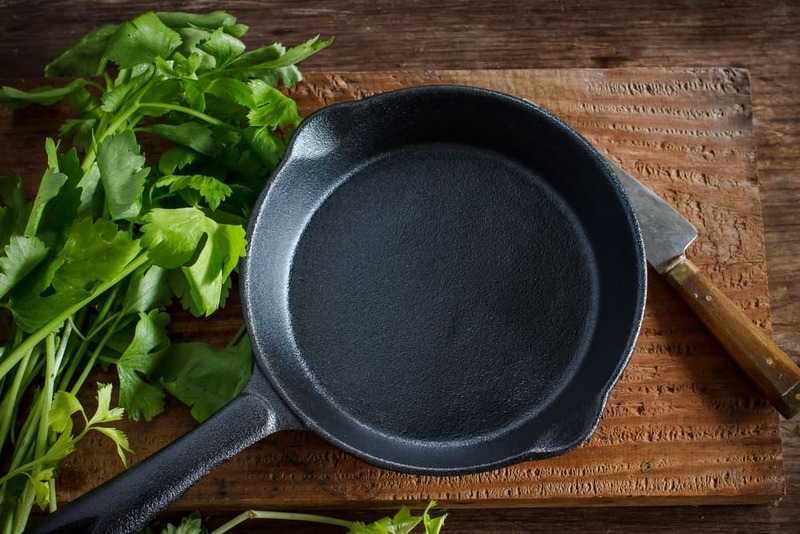 A cast iron skillet is preferred because it has excellent heat retention and cooks food evenly. What I use is the pre-seasoned Lodge L8SK3ASHH41B which is designed with a silicone hot handle holder for a comfortable grip. To make sure that your fork will not stick to the skillet, you need to add a bit of nonstick cooking spray. The nonstick cooking spray will create a nonstick surface to the skillet making the cleanup easy as possible. 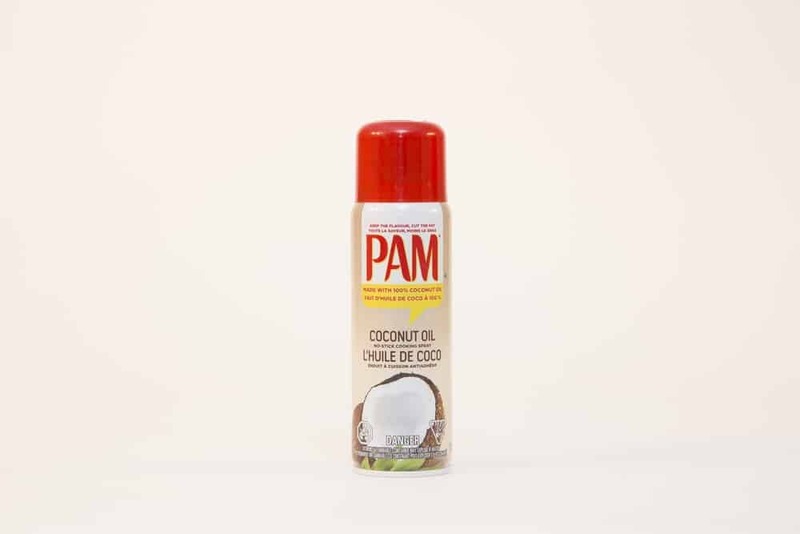 If you want a healthier cooking spray alternative, you can consider using an extra virgin coconut oil, like this one. You need a kitchen spoon to stir the liquid together with the pulled pork. 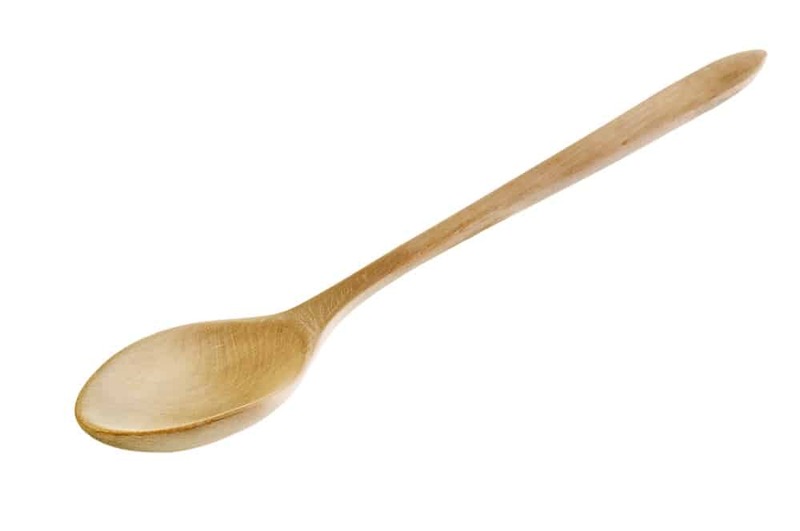 To protect the cooking surface of your skillet, a wooden spoon is preferred, like this one. A plastic kitchen spoon is not advisable because some chemicals might leach into the pork. Before you place the liquid and pork leftovers in the crock pot, plug the machine first and set it to "Warm" setting. If your unit doesn't have this function, set to the low setting. Next, place your meat in the crock pot, then pour the liquid of your choice. Once everything is settled, secure the lid on the crock pot and allow the pulled pork to reheat for about 2-4 hours. After that, you can remove the pork from the crock pot and serve as it's cooked anew. In a deep baking tray, pile the pork and add the moistening liquid of your choice. Since aluminum foil reacts with highly acidic foods, you may use broth or pork drippings to moisten your pulled pork leftovers. Cover the tray with aluminum foil. Set your oven's temperature to around 250 degrees Fahrenheit and bake for about half an hour. Occasionally, take off the foil and stir the pork to cook it evenly. You can tell that your pork is ready to be served if its internal temperature reaches 165 degrees Fahrenheit. 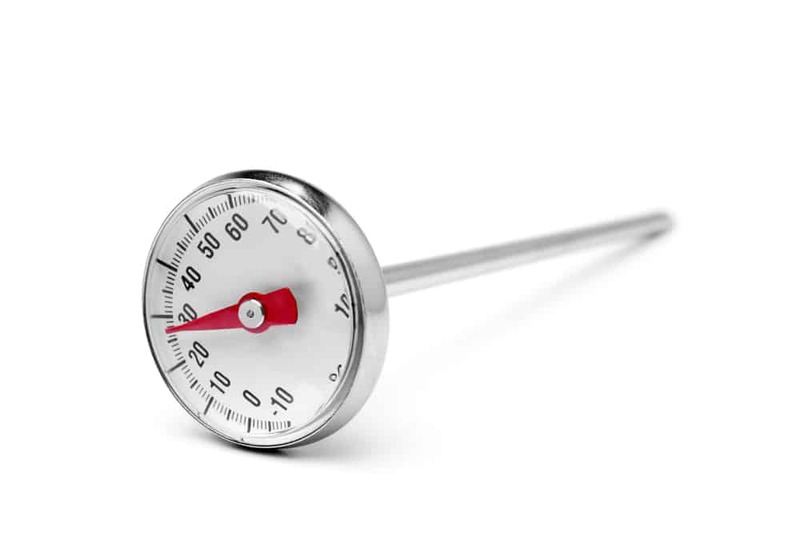 Use a cooking thermometer for measuring the internal temperature. In a skillet, add a bit of cooking spray to coat it lightly. Next, pour the liquid of your choice. The amount of liquid should measure about 1-2 inches from the bottom of the skillet. Heat the skillet on medium-high and let the liquid boil. If your liquid comes bubbling already, add the pulled pork. With a wooden kitchen spoon, stir it immediately to coat all the pork evenly. Wait for about five minutes to coo﻿﻿k the pork. After you turned off the heat, cover the skillet to continue cooking. Let the pork sit for about 5-7 minutes. You can serve the pork if it reaches the internal temperature of 145 degrees Fahrenheit using a food thermometer. FoodSafety.gov suggests reheating leftovers completely. The internal temperature of food should reach 165 degrees Fahrenheit. When reheating, cover the leftovers to keep the moisture and ensure even heating. If you're in a hurry, you can omit to thaw the frozen leftovers and go straight to reheating. This is actually safe to do even if reheating will take more time than thawing the frozen food first. Amazing Ribs recommends coating the pork all over with barbecue sauce if you opt to use it in the oven. You should cover the meat with foil to avoid over drying it. The temperature of the oven should be no more than 225 degrees Fahrenheit or the pork will shrink. The United States Department of Agriculture (USDA) recommends refreezing the thawed leftovers to avoid waste. To thaw frozen leftovers, place them in the refrigerator overnight. Reheat the needed portion and refreeze the rest of the thawed leftovers. You can also refreeze the leftovers of reheated meat as long it reaches the internal temperature of 165 degrees Fahrenheit. Reheat Some Pulled Pork Today! 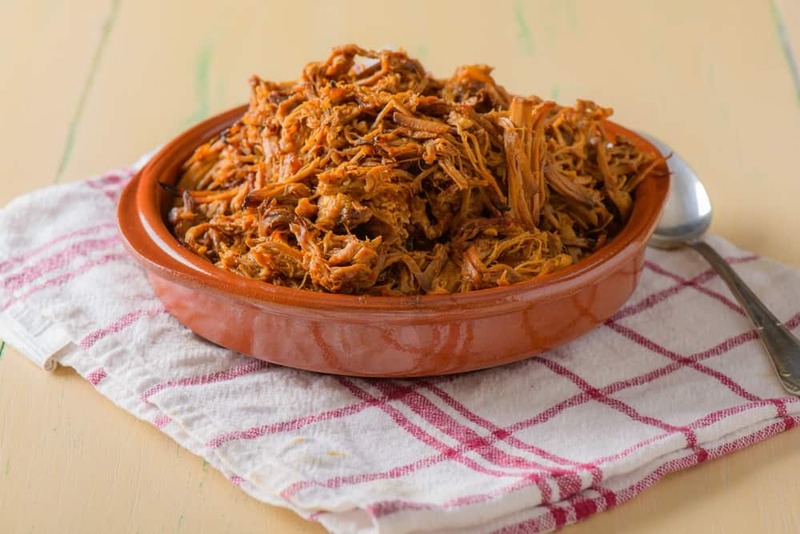 Did you enjoy running through the process of reheating your pulled pork? Thanks to this new found information, I can revive the tenderness and taste of my pulled pork leftovers. Choose your own reheating method- crockpot, oven, or skillet- and leave no pork wasted. If you've tried reheating your cold pulled pork, please let us know your thoughts in the comments section. Don't forget to spread this new knowledge if you find this helpful.